HTC is going bold in order to stay relevant - the company will announce its new handsets between CES and MWC. Rumors about new devices were going around for some time about the new devices from the Taiwanese company but two days ahead of the event we have more information about their specifications. 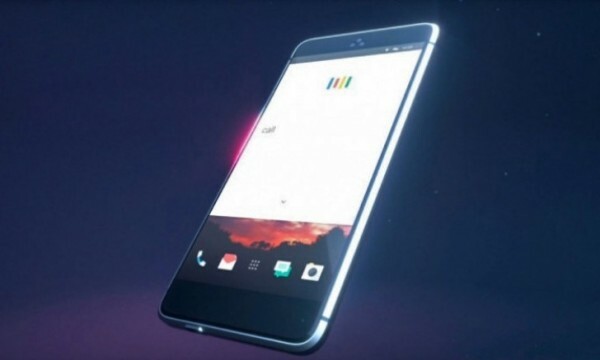 January 12 will be the crucial date for HTC when it reveals to the world HTC Alpine (HTC U Play), HTC Ocean Note (HTC U Ultra) and HTC E66 (HTC X10). The HTC U Play is a midrange offer with 5.2-inch Full HD display and a Helio P10 chipset along with 3GB RAM and 32 GB internal storage. Main camera is 16 MP as is the selfie one. Battery power is 2,500 mAh and there is a fingerprint sensor, positioned on the front. The big news is the phone does not have a 3.5mm audio jack which is not actually new for HTC - it already did this on the HTC 10 evo/HTC Bolt. We heard the name Ocean and imagined something smooth and relaxing. Apparently this is what HTC is doing with HTC U Ultra - the flagship device we are going to see on January 12. It has 6.0-inch QHD screen and underneath it is newest 10 nm chipset Snapdragon 835 by Qualcomm. We expected LG and Samsung to be the first device with the MSM8998 processor but looks like HTC is already one step ahead of the Korean companies. U Ultra has 4GB RAM, 64GB internal storage and dual-lens camera on the back - 24MP + 13 MP. The selfie snapper has a 16 MP sensor. Battery is 4,000 mAh and a fingerprint sensor is positioned on the back. Just as HTC U Play, the U Ultra also lacks a 3.5mm audio jack. Unlike the U devices, HTC X10 actually has the good old 3.5mm audio jack. The display is 5.5 inches, the chipset is Mediatek’s Helio P10 and RAM is 3GB, as we already told you. After a horrible year HTC has to get everything right to stay afloat and hope this is their time even though we highly doubt it. You are talking about hardware support though. The Nokia 808 only had a single core 1.3GHz processor and that had a 41 megapixel camera. It's all about the software and the image sensor. I smell a flop. Oh wait, that's just the smell of HTC. You are right. M7 looks really good, better than M8 even. They can use the same M7 shell and upgrade the specs, less bezels.